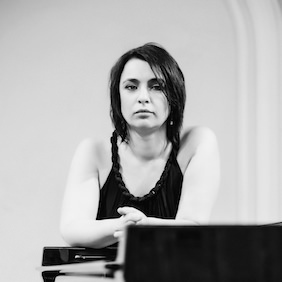 Born in 1980 in Moscow, Ksenia graduated from the Gnessins’ Special Music School (prof. Elena Efrussi, Tatiana Zelikman) and from the Moscow State Conservatory, where her teacher was professor Lev Naumov. Also she made two postgraduate courses there: “chamber music” with professor Tigran Alikhanov and “accompaniment” with professor Irina Kirillova. As a soloist she has appeared throughout Europe, the USA, Japan, Israel, at venues such as New Tokyo Opera City Hall, the Vienna Musikverein, Tonhalle, Beethoven Halle and the Great Hall of Moscow Conservatory.